Go here and do the quiz "Which Sandwich Are You?" The best online quiz in history (please comment below or on Facebook which sandwich you are, because let's face it, civilisations are built on this kinda stuff). "the best f’ing sandwich in the whole entire universe." To celebrate this achievement I thought I might undertake a 12 week challenge. A bit like Michelle Bridges 12 week Body Transformation .....only not. I will call it the 12 week Grilled Cheese Transformation. Have you seen the 31 grilled cheeses that are better than a boyfriend doing the rounds on Facebook? Well I have taken my favourite 12 and each week, for 12 weeks I am going to make one and take pictures and tell you about it. Quality blog content my pretties. There were a few variations- I wanted bigger sandwiches so I used a Tiger cob loaf and I added a bit of dried chilli to the onions (and I used red wine in the onions). Making proper caramelised onions was a bit of a revelation. I have tried in the past, but not cooked them for long enough or became impatient and added a bit of brown sugar to help the caramelisation along. It is definitely worth the time and effort to come up with these beautiful naturally sweet silky onions. Pan-frying the sandwich instead of putting it in a press is also a revelation- fluffy white on the inside, crisp and buttery and crunchy on the outside. 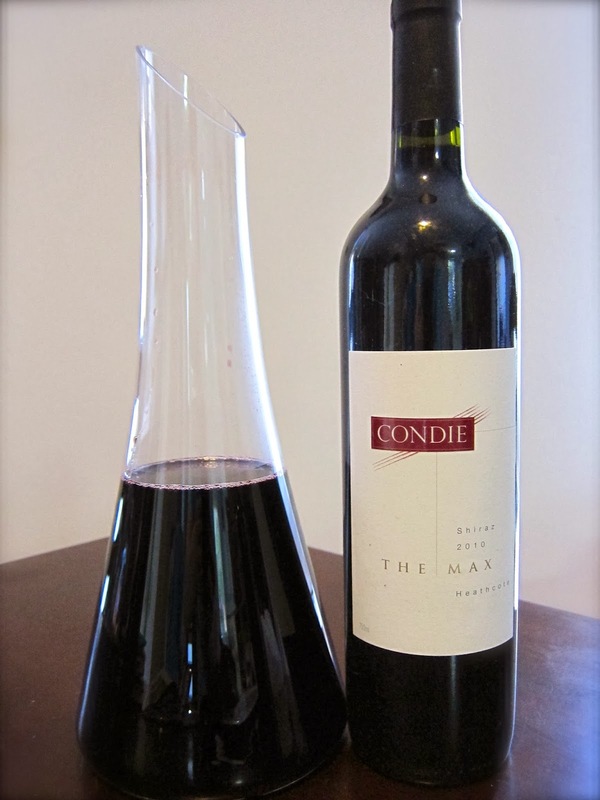 The sandwiches were super tasty with a bottle of 2011 Condie 'The Max' Shiraz- very juicy and showing quite high acidity due to early picking in a debacle of a wet and rainy year; the acidity cuts through the hugely buttery cheesiness of the sandwiches beautifully. I am cellaring this baby for sure, lovely now, it will be magical in about 3 years. Contact the winery for stockists.